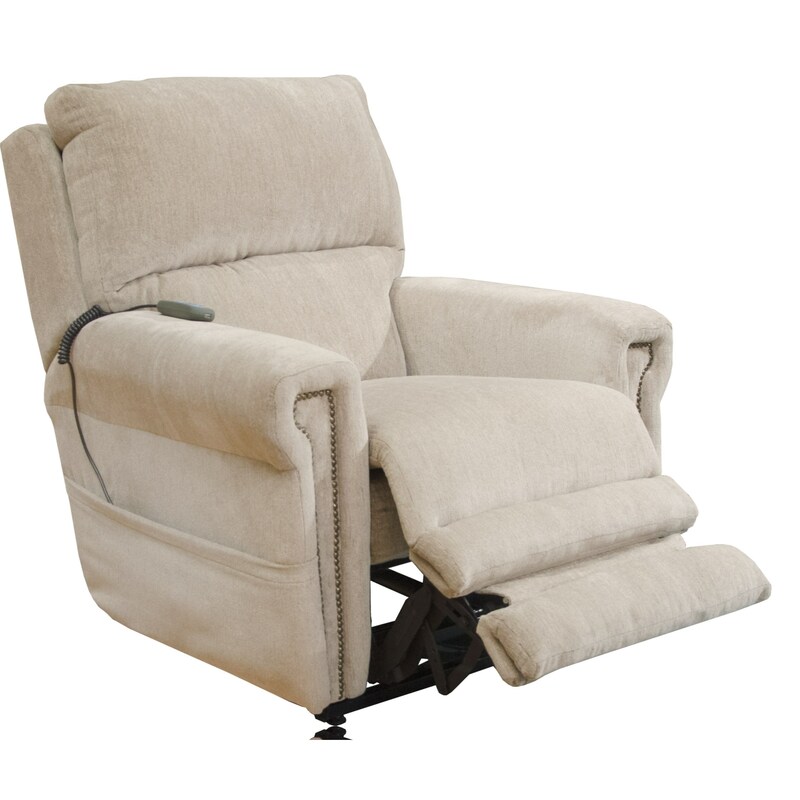 This power recliner features both a power headrest and power lumbar support. That combined with the recliner's lay flat capabilities provides you with a place to relax for hours at a time in total comfort. The recliner's nailhead trim accents and traditionally inspired design ensures this piece will blend with your home's decor style. The Warner 4862 Lay Flat Power Recliner with Power Headrest and Lumbar Power by Catnapper at Miskelly Furniture in the Jackson, Pearl, Madison, Ridgeland, Flowood Mississippi area. Product availability may vary. Contact us for the most current availability on this product.